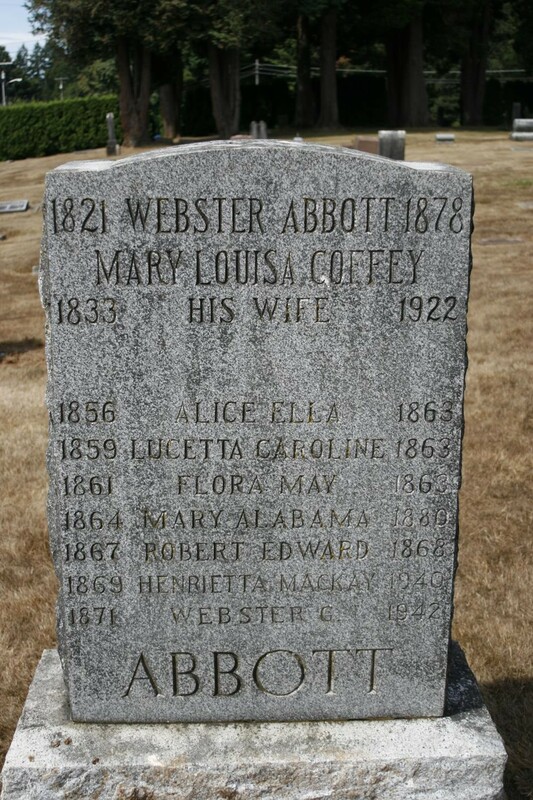 Minnie (Mary Alabama) Abbott died in Vancouver on Thursday last, aged 15 years and a half. 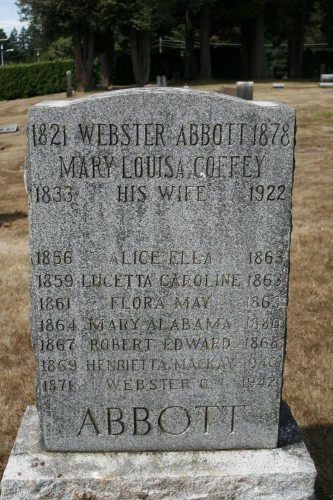 Her death was caused by consumption, as was that of her father and several brothers and sisters. Funeral services were held in the Episcopal Church on Saturday, and she was that day laid to rest beside her father and other members of the family on Mill Plain (Fern Prairie Cemetery), the steamer Traveler making an extra trip to Fisher’s Landing for that purpose. At the early age of 11 Minnie joined the Episcopal Church, and lived her short but good life according to its teachings, looking upon the Church as her mother, and had a full belief in the last resurrection, her guileless life gave her a faith that made her proof against—and fear of death, thus she was gathered for the harvest.